Gorgeous 2 Story Home w 4 Beds 3.5 Baths offering New Carpet & New Paint on an Expansive 0.29 Acre Lot across from Greenbelt & Steps to Park & Pool. The 2 Story Foyer & the Open Floor Plan is Welcoming w a Bright Living Room & Cozy Fireplace. Informal Dining Area is Sunny& Open to both Living & Kitchen w Slider Access to Huge Fenced Yard. Hardwood flows through Dining Area into Chef's Kitchen w Island, Slab Granite, SS Appliances & Pantry. Bright Main Level Study has French Doors. Upper Level has Master Bed Boasting a Vaulted Ceiling, Ceiling Fan, Master Bath w Double Sinks, Shower w Seat, Tile Flooring & Walk-in Closet. Guest Bed has a Private en Suite Full Bath. 2 More Beds share Jack & Jill Bath. Full Open Basement is Great Option for Expansion & More Storage. Central A/C. 3 Car Over-sized Garage. Neighborhood has Multiple Parks & Trails. 1 Mile to School, 7 to Shopping & Dining. 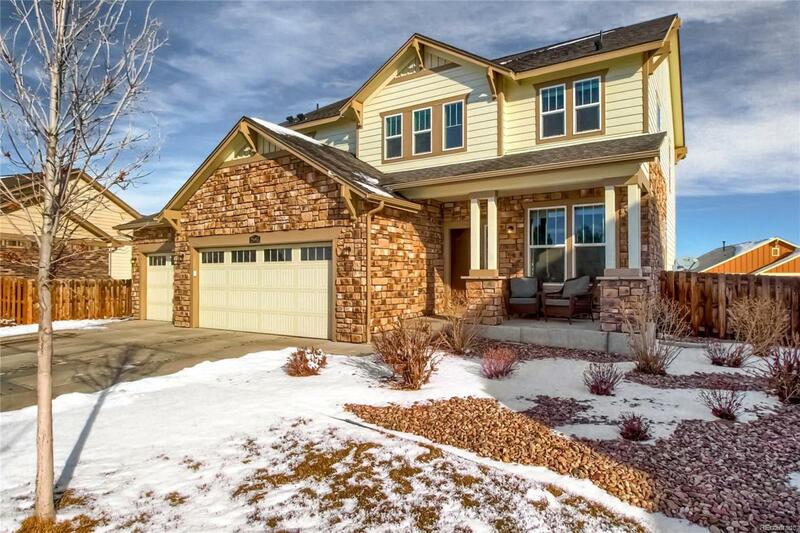 Conveniently Located S of I-70, Close to E-470, Buckley & Golf Course. See 3-D Virtual Tour.